« Happy halloween! From Foodventuras. Have you ever felt the urge to escape from the hustle and bustle of Kuala Lumpur city limits but yet the thought of taking a road trip to an outside destination seemed unbearable? Close your eyes and imagine yourself sitting tranquilly on a warm sweet day in the Tuscany region of central Italy. 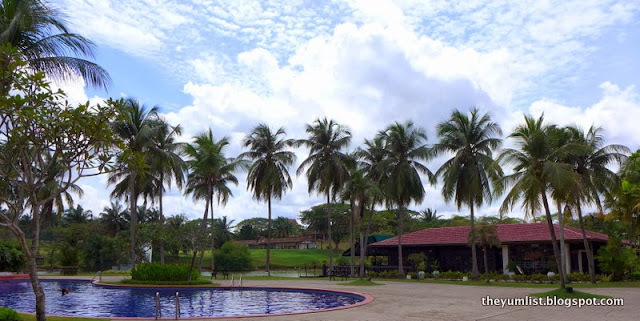 You hear the sounds of a verdant nature invigorating your inner soul while the picturesque landscape of luscious trees, native flora, and the sun bouncing off the surface of a peaceful and still body of water awakes your senses. Senja Italian RestaurantKLers open your eyes and look no further. 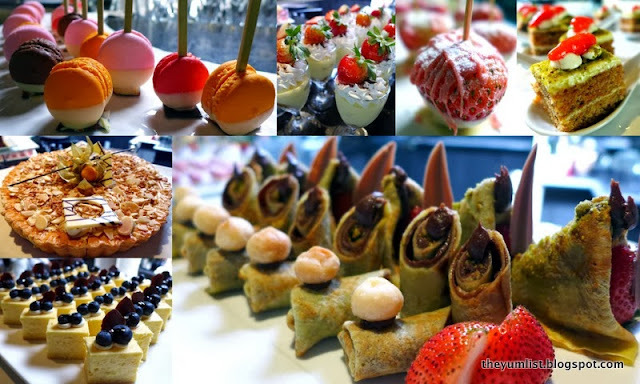 Senja Italian Restaurant presents their Sensational Italian Sunday Brunch at The Saujana Resort in Subang, Selangor. 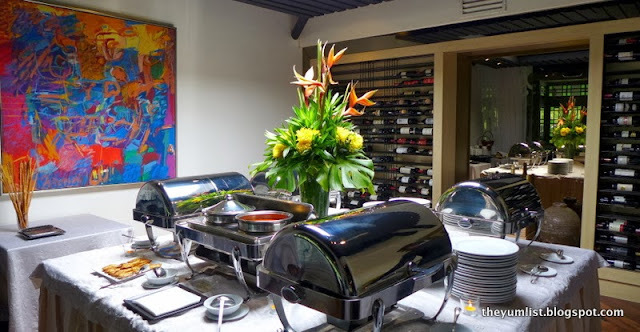 This venue portrays the perfect, romantic and Italian hideaway located only 30 minutes from Kuala Lumpur City Centre. Only 30 Minutes from the City and You’re in Peaceful GreeneryWhen you enter the grounds of The Saujana Resort you instantaneously feel that you are traveling through a piccolo citta (small town) and stopping in at the nearest Italian restorante (restaurant) for an authentic and splendid feast. The hard wood floors demonstrate character, the floor to ceiling windows flood the space with natural lighting and continuous panoramic views, and the scenic veranda give visitors a sense of freedom and relaxation. Not only does the environment and setting take your breath away, the abundant of rustic Italian dishes invites your gastronomical pleasures to overindulge in complete goodness. 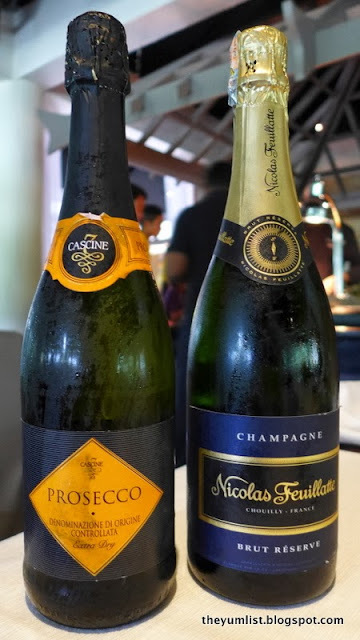 With over 30 dishes to choose from and a pairing of either Prosecco Cascine or Champagne Nicolas Feuillatte Brut Reserve N/V, your endorphins trigger and positive energy go straight to your palate. Filippo Giunto, a renowned Italian international chef at Senja, prides himself in creating authentic Mediterranean cuisine. 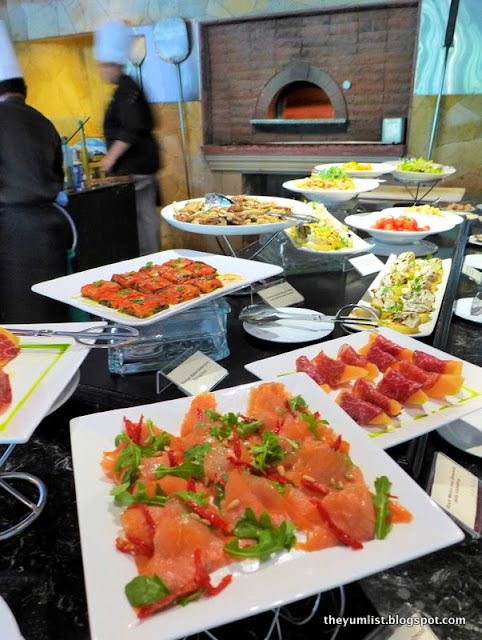 It is evident through the various and flavorful dishes in his brunch buffet, Chef Giunto has a passion and deep understanding for the fresh ingredients he blends together and takes pride in his creations. The spread is nicely organized beginning with eight items for Antipasti, Soup of the Day, Pasta and Pizza selection, Mains and Dolci della Casa. 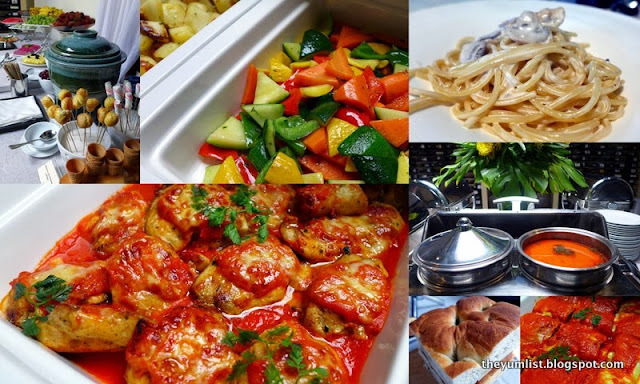 With too many options to rave about, I have selected a few highlights in my personal food journey through Italy. Smoked Norwegian Salmon and Rocket with Lemon Dressing Oil: sliced thinly, delicate in its nature, smoky and lemon flavor, this dish melts in your mouth. Grilled Oyster Mushrooms with Garlic and Parsley: Deceiving with its aquatic name, this dish was perfectly caramelized and had just the right amount of garlic – not too overpowering and allowing the mushrooms to maintain its natural flavors. Mediterranean Seafood Soup with Garlic Bruschetta – Chef Filippo’s Soup of the day – He changes every Sunday and keeps it a surprise for his visitors: Savors of garlic, parsley, and fresh seafood along with the fresh homemade bread are the complete combination to feel at home. The bread literally had fresh tomatoes in the middle. Nothing I have ever tasted before. Wood Oven Fire Margherita Pizza: Many guests come back for their wood oven fire pizzas – thin crust, crispy and MOUTHWATERING. Grilled Selection of grilled snapper, tiger prawn skewers, marinated lamb chop and rib eye – the outdoor grill blew my mind! Nice big pieces of seafood and great cuts of meat sizzling on the grill fire, call for a big Italian BBQ and the heart of Italian food. 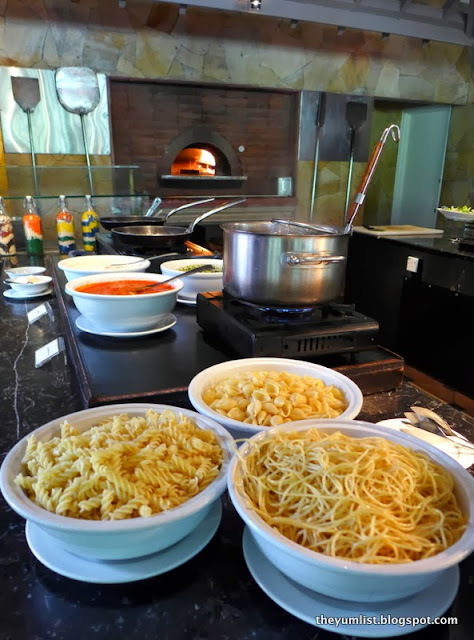 The simple seasonings such as some lemon juice, salt and pepper capture the Italian flavors of the grilled selections. 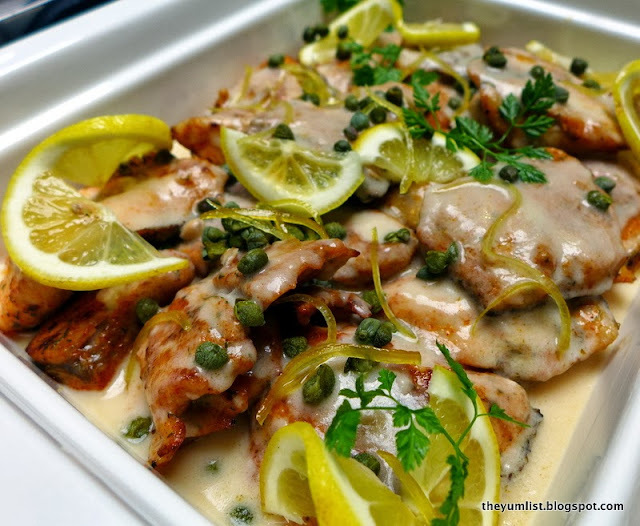 Seabass in Beurre Blanc Sauce with Capers and Lemon: Succulent with its assertive flavors of capers, lemons and garlic makes for the ideal choice when craving the colorful tangs of the Mediterranean. Classic Filippo’s Tiramisu’ by the Cup: Chef Fillippo’s attention to details really shines in all his dessert selections. His famous Tiramisu is served in a glass cup with white cream and a strawberry on top. I don’t have a sweet tooth but I can attest this is the best tiramisu I have had in KL. Three words for this popular sweet: Refreshing, Cool and must savor it slowly. Mango and Strawberry Pannacotta: Fruity and Creamy, a great option if you are looking for a dessert that is light and refreshing.